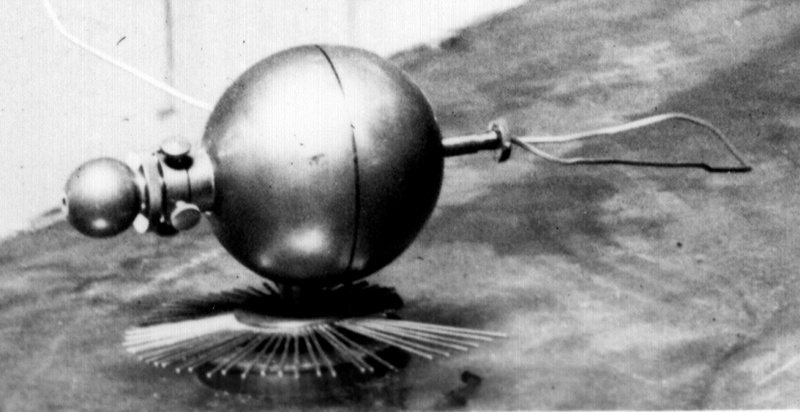 My first system is the one which requires introductory mediums of differential gravities, air and water, to induce disturbance of equilibrium on the liberation of vapour, which only reached the interatomic position and was held there by the submersion of the molecular and atomic leads in the 'generator' I then used. 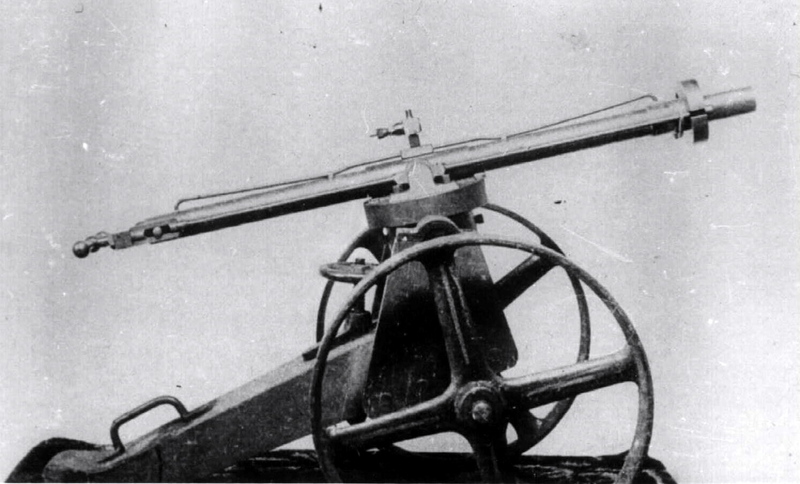 It was impossible with these mediums to go beyond the atomic (subdivision) with this instrument; and I could not dispense with the water until my liberator was invented, nor reach the maximum of the full line of vibration. My first system embraces liberator, engine and gun. "He (Keely) has determined and written a system of the vibratory conditions governing the aggregation of all molecular masses, as to their relation sympathetically one to another, stating conditions necessary to induce antagonism or repellant action, etc., but cannot yet control the operation of his Disintegrator so as to use it with safety to the operator. "He (Keely) has demonstrated that the subdivision of matter under different orders of progressive vibration evolves by such subdivisions entirely new and distinct elements, too multiple to enumerate. He has systematized the proper vibratory chords, progressively, from the introductory molecular to the interetheric, embracing seven distinct orders of triple subdivision. He has elaborated a system of inducing sympathetic negative attraction on metallic masses, with great range of motion, and instant depolarization of the same by vibratory change of their neutral centers. Keely controls the transmission of these sympathetic streams by a medium of high molecular density, viz. drawn wires of differentiated metals, gold, silver, platinum, German silver, etc. In some recent experiments he took apart the instrument which he invented for the production of the force cutting the wires operated in sympathetic attraction and propulsion, and distributed the fragments to those who were present. "Keely has discovered that all sympathetic streams, cerebellic, gravital, magnetic and electric, are composed of triple flows, this fact governing all terrestrial and celestial orders of positive and negative radiation. In gravity it would be more correct to speak of triple connective links, as there is no flow of gravity. "Keely has discovered and demonstrated that electricity has never been handled that it is in principle as material as water that is is not merely a force or form of energy, that it is matter, and that what we call electricity is but one of the triune currents, harmonic, enharmonic and diatonic, which are united in pure electricity, that the enharmonic current is sympathetically and mysteriously associated with the dominant current and that the dominant current can no more be brought under control than can the lightning itself. The diversion of the dominant current would mean destruction to any mechanical medium used for that purpose and death to the operator. The intense heat evolved by the electric stream Keely attributes to the velocity of the triple subdivision at the point of dispersion, as each triple seeks its medium of affinity. Sudden unition induces the same effect but demonstration shows that the concentration of this triple force is as free of percussion as is the breath of an infant, for the three currents flow together as one stream in the mildest sympathetic way, while their discharge after concentration is as the tornado's force. The enharmonic current of this triple stream, Keely thinks carries with it the power of propulsion that induces disturbance of negative equilibrium, which disturbance is essential to the coordination of its flow, in completing the triune stream of electricity. When this fluid is discharged from the clouds, each triplet or third seeks its terrestrial concordant, there to remain until again disturbed. "My researches have proved to me" writes Keely, "the subtle and pure conditions of the power of negative attraction and positive propulsive." "These same researches have enabled Keely to pronounce definitely as to the nature of gravity - an ever-existing, eternal force, coexistent with the compound etheric or high luminous, entering into all forms of aggregated matter at their birth. Keely thinks that gravity is the source from which all visible matter springs, and that the sympathetic or neutral center of such aggregation have preceded it and to all that may succeed it, and that disturbance of equilibrium, like gravity, is an ever-existing force. "All planetary masses Keely calls terrestrial, showing that the beauty of the celestial concordant chords of sympathy forming the harmonious connective link, is what may be denominated "the music of the spheres," and is seen in the alternate oscillating range of motion between the planetary systems, for at a certain range of the greater distance, harmony is established and the attractive forces are brought into action, and then, in the return towards the neutral centers when at the nearest point to each other, the opposite or propulsive force is brought into play. "Keely has |constructed instruments by which he is endeavoring to determine the nature of the triune action of the polar terrestrial stream or envelope, as regards its vibratory philosophy. He is seeking to demonstrate its sympathetic association with the celestial stream or luminiferous track, the compound etheric field, from which all planetary masses spring. He considers the electric stream to be one of the triune sympathetic streams which help to build up, in their order of triple concentration, the high vitality of the polar stream, or, more correctly, the magnetic-electric terrestrial envelope, without which all living organisms would cease to exist. He classes the cohesive force of molecular masses as the dominant order of the electrical stream, the molecule owing its negative attractive quality to the magnetic element. "In Keely's experiments in antagonizing the polar stream, recently before men of science, he has copied in his instruments the conditions nature has established in her terrestrial ranges necessary to equate a state of sympathetic disturbance for the revitalization of what is continually displaced by negative dispersion. These mechanical conditions are principally differential vibratory settings on molecular aggregations of the metallic masses of gold, silver and platinum. "He has discovered the range of molecular motion in all quiescent masses is equal to one-third their diameters and that all extended range is induced by sound force, set at chords of the thirds which are antagonistic to the combined chords of the mass of the neutral centers that they represent, and that at a certain increased range of molecular motion, induced by the proper acoustic force, the molecules become repellant, and that when the sympathetic centers are influenced by a vibration concordant to the one that exists in themselves, the molecules become attractive; that the repellant condition seems to take place at a distance of about ten of the diameters of the molecules, this distance of about ten of the diameters of the molecules, this distance representing the neutral line of their attractive force, or the dividing line between the attractive and the repellant. Beyond this line, perfect triple separation takes place, inside of it, perfect attractive association is the result. "The force he uses in running machinery is the sympathetic attractive, which he says draws the planets together, while in his system of aerial navigation he will use a negation of this force, the same regulating the recession of the planets from each other. It is the sympathetic attractive force which keeps the planets subservient to a certain range of motion between their oscillations. Nature has established her sympathetic concordants from the birth of the neutral centers of the planets, in a manner known only to the Infinite One. This is gravity. The secret of production of the "vibratory lift" is embraced in his statement elsewhere: "Any metallic mass can be so impregnated with certain vibrations as to give it the mental attributes of attraction and repulsion." He simply impregnated the particular metallic mass with vibrations which caused it to assume self-repulsion to the terrestrial or earth mass chord, and this repulsion thrust it away, out to us, upwards. In the spring of 1890 he succeeded in raising the metal weight composing his air-ship model, by means of a force still unknown to science. One of his friends stated "When he has gained as perfect control of it as we now have over steam, airships weighing thousands of tons can easily traverse the highways of the air." 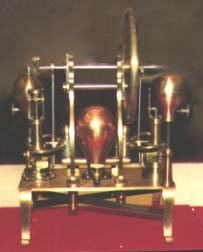 Keely says "By exciting the metallic mass composing a navigator of any given weight, it may be suspended and propelled. The vibratory neutral negative attraction evolved will bring it into perfect commercial control by keeping it in sympathy with the earth's polar stream." This is why he sought to find the sympathetic connection between luminous ether, or inflowing celestial streams, and the radiating or terrestrial streams, which, by their interaction "solar tensions against terrestrial condensations" cause the polar current and its kindred phenomena. While he used "sympathetic negative attraction" for running machinery, he sought to use for aerial navigation, another force, a "negation" of "sympathetic negative attraction" or the same force that regulates the recession of the planets from each other. This is probably simply polar propulsion, although he terms this elsewhere as gravity.